Amazon recently announced that they’re making drastic changes to their pricing rules. While many third-party sellers say it’s a cause for celebration, don’t pour the champagne just yet. Amazon is no stranger to competition. The eCommerce platform competes not only against other eCommerce sites but also brick and mortar stores. It’s a cutthroat world where retailers race to give customers the cheapest prices possible. Amazon joined in the pricing wars and, unfortunately, flew too close to the sun. For years Amazon had a policy that prevented third-party sellers from selling their items for less on other platforms. For example, if your brand sells soap on Amazon, you couldn’t sell your soap on Walmart.com cheaper than its list price on Amazon. However, Amazon just announced that they will no longer use this pricing policy. Although Amazon is staying hush-hush on their motivation for the change, it’s likely due to unwanted regulatory attention. The change could spell trouble for the future for Amazon. Customers rely on Amazon to have competitive prices. In fact, their aggressive pricing strategy is the key to Amazon’s growth over the last ten years. Due to their size and strict pricing rules, they were able to undercut the competition and reap the profits. Now that the rule has lifted, many sellers are rejoicing. While this does mean your brand can enjoy greater freedom on Amazon, be sure to read the entire Amazon seller agreement. There are still troublesome clauses concerning pricing that all Amazon sellers need to understand. The offending rule about Amazon’s pricing is called “pricing parity,” which is also known as “most favored nation” (MFN) requirements. Because of pricing parity, brands can’t sell products cheaper than they’re selling them on Amazon. Pricing parity gave Amazon a huge competitive boost. However, its rapid growth was also part of its downfall. Because of Amazon’s size, and the fact that it’s so prolific, the company can affect fair pricing in the market. Opponents to pricing parity say it artificially controlled prices. In recent months Amazon has been feeling the heat for its pricing parity. In December 2018, Senator Richard Blumenthal filed a complaint with the FTC against Amazon, claiming their pricing rules violate antitrust laws. Senator Blumenthal said that Amazon artificially increased prices while stifling competition in the marketplace. This isn’t a new battle for Amazon, though. The company got in hot water with EU officials in 2013. Great Britain and Germany found that Amazon’s pricing parity practices violated EU antitrust laws. In response, Amazon removed the rule, but only for EU sellers. 2019 promises to be a year of trouble for Amazon’s lawyers. In addition to Senator Blumenthal’s complaint, Senator Elizabeth Warren is also declaring war on Facebook, Google, and Amazon’s triumvirate. A drawn-out fight between Amazon and its competitors is imminent with lawmakers. Amazon may have gotten into trouble for little benefit, too. Pricing parity is difficult to enforce. Many third-party sellers got around the requirement by selling goods under a different name on other platforms. Now that pricing parity is gone for US-based sellers, Amazon pricing is more open. As shoppers, this means that Amazon may not have the best prices. 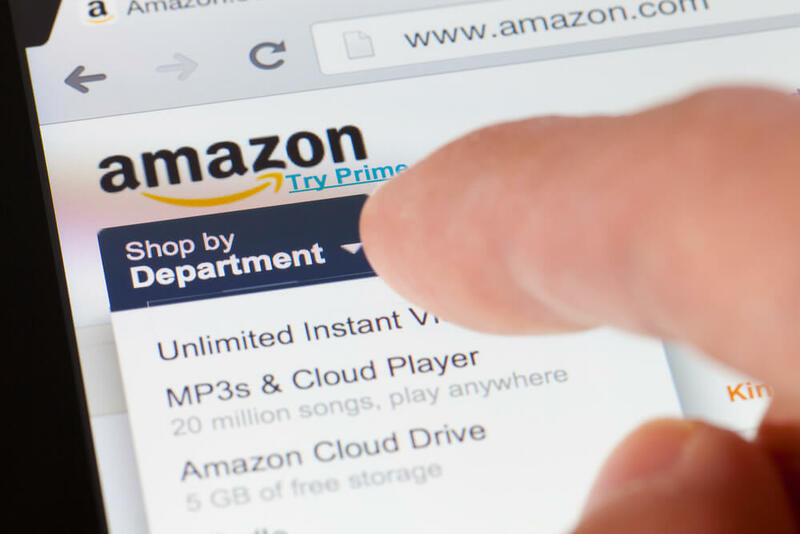 Although it’s unlikely that Amazon will lose its foothold in product-led search any time soon, it could become less competitive as a pricing tool. If your brand sells on Amazon, don’t celebrate just yet. There are other troublesome pricing clauses in Amazon’s contracts that affect your company. On the one hand, it’s great news that pricing parity has been removed. This requirement significantly cut into brands’ sales. On the other hand, Amazon has another trick up its sleeve. The platform still retains a lot of control over pricing. For example, there’s another clause in seller contracts called the fair price rule. This rule says that you can’t sell your product for a higher price anywhere online. Amazon claims this rule is supposed to protect consumers from Amazon price hikes. In reality, though, the fair price rule is pricing parity by another name. If Amazon finds a seller in violation of fair pricing, it can remove one-click buying options, shipping information, and even revoke selling privileges altogether. If, for whatever reason, your product is more expensive on Amazon than it is on another platform, you could lose a lot of business. The good news is that Amazon will reinstate your privileges if you fix the pricing. However, that’s little comfort for many sellers. Whether through pricing parity or fair pricing rules, Amazon still has a stranglehold on how brands price their products online. While Amazon is a great way to put your products in front of millions, read the fine print carefully. It could cost you a lot of business if you violate the terms. Regulatory attention and changes to pricing rules won’t affect Amazon very much. Thanks to mergers and innovations like Amazon Echo devices, Amazon has already trained consumers to associate it with product search. When a customer wants to buy, it’s likely that they’ll go to Amazon. Even if regulators shake up Amazon’s price control, customers will still flock to the platform in droves. However, as marketers, it’s important to keep an eye on the impending regulatory showdown. We can only hope that the added pressure will lead to improved contract terms for brands and a better bottom line for selling your products. In the meantime, keep up with all updates to Amazon’s terms of service. Stay abreast of all changes to be in Amazon’s good graces. You don’t have to navigate the world of Amazon alone. Logical Media Group specializes in Amazon optimization to get your brand more sales.